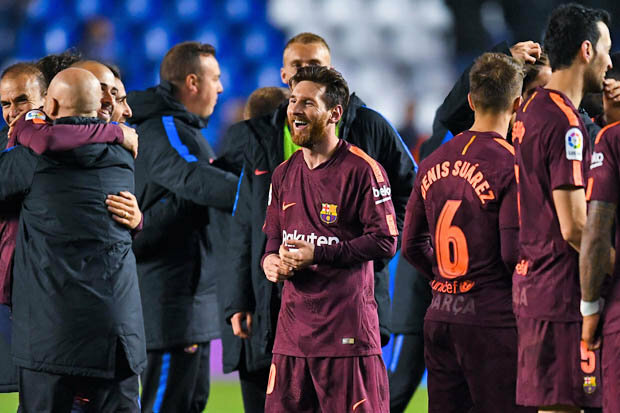 Barcelona were confirmed as Spanish champions for the seventh time in the last 10 seasons last night after beating Deportivo La Coruna. Messi hit a hat-trick in the 4-2 win to ensure the title would be heading to the Nou Camp with four games to spare. The Barcelona superstar is likely to have been fired up because Don Balon claim Real Madrid rival Ronaldo attempted to get in his head during the week. 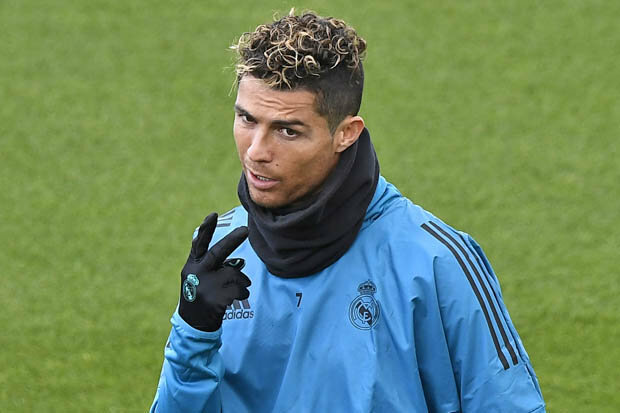 According to the Spanish publication, who do not elaborate on how the message was relayed, Ronaldo told Messi that Barcelona’s celebrations should be muted because Real Madrid remain in the Champions League. Los Blancos are expected to secure a place in next month’s final after securing a 2-1 win against Bayern Munich in the first leg of their semi-final tie last week. Barcelona’s disastrous Champions League exit at the hands of Roma in the quarter-finals has cast a shadow on an otherwise successful season. Don Balon also report that Ronaldo warned Messi he will win the Ballon d’Or if he leads Real Madridto a third consecutive Champions League crown. Barcelona are unbeaten in the league this term and Messi is determined to avoid defeat before the end of the campaign. Speaking about their La Liga triumph, the Argentine superstar said: “Very happy, winning this league brings great joy. We know how tough it is to win La Liga. That’s why we have to value it and celebrate it properly with all our people. “It was a very special title for all of us because we are yet to lose any matches. We have had difficult moments and we overcame them without knowing the feeling of defeat and that is incredible. Next up for Barcelona is El Clasico against Real Madrid at the Nou Camp on Sunday.